Greyhound racing takes place daily in the UK apart from Christmas Day and, each day, there are a number of different meetings scheduled across the country. If you have ever been to the dogs before for a social occasion or placed a bet on a race with bookmakers like Betfair and Paddy Power, you will know how much of a thrill it can be. Looking for free Greyhound Racing tips? Look no further. Head over to the Tips section of the Timefom website and every day we'll offer you the best best and next best at each fixture with our Meeting Tips, the Analyst Verdict at every meeting with the Tip Sheet, plus the top three slections across the meetings with our daily Best Bets. In the UK, there are six dogs in a race and here are the colours you need to look out for. The dogs are placed into the traps at the start of the race and they chase an electric hare around the track over the designated distance, with the winner obviously being the first dog past the finishing line. Here is a look at some of the options you have available to you when betting on greyhound racing. The most common way to bet on greyhound racing is to pick a selection and back it to win a particular race. You can either choose to be paid out at the starting price if your dog wins or you can take the price the greyhound is at the time of striking the bet. 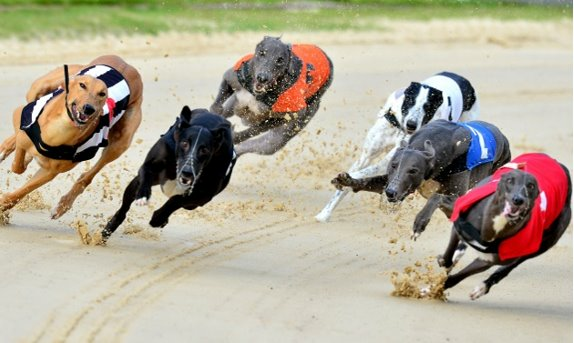 Unless there is a withdrawal from a race, your dog has five other rivals to beat. In order to have a better chance of picking up a return in greyhound racing, you can back your dog to be placed. If it finishes in the first two, you are a winner. Obviously, your returns will be much lower than if you back the dog to win the race but if you are not chasing the big winnings, this could be the bet for you. If you want to try and increase your winnings in greyhound racing, you can add more than one selection into an accumulator bet. All of these dogs have to prevail in their selective races for you to win the bet and the more you choose, the bigger the potential return will be. There are an array of bets you can place at Betfair and Paddy Power. Forecast betting in greyhound racing is where you are required to choose the first and second home in a race in the exact order. For example, a forecast of Trap 1 – Trap 6 requires trap one to win the race and trap six to finish second. A dividend is then returned for a £1 stake and the size of this will depend on the price of the dogs which were first and second. In order to increase your chances of being successful, some people perm their selections into a combination. They may opt for three dogs and cover all combinations for first and second which, in this case, is six bets as per the example below. If you want to go a step further in the race, you can place a bet on the tricast which requires you to select the first, second and third in the contest. This is obviously much more difficult, however, if you are lucky enough to do it, you will be well rewarded. Just like in forecast betting, you can perm selections into a combination to make it easier. One way of doing this would be to select four dogs and cover all possible permutations for these dogs finishing first, second and third as per below. 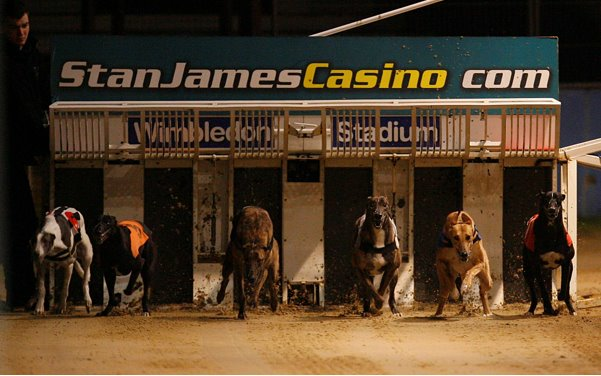 Ante-post betting at Betfair and Paddy Power is available on all the major competitions in greyhound racing. Due to there being lots of entries for the big events, this is a great opportunity to pick up some decent odds about a selection you fancy. You can either back it to go all the way and win the competition or each-way where, in many cases, you just need your dog to reach the final to pick up a return. However, different bookmakers offer various place terms, so always check this before placing your bet. The biggest competition in greyhound racing in the UK is the English Greyhound Derby where, in 2017, there was over £350,000 in prize money in the tournament. All the runners start off in the first round and need to finish inside a certain position to qualify into the next round. At the semi-final stage, the first three dogs home in each heat advance through to the final where they then race for the trophy and the first prize. In 2017, Astute Missile was victorious in the event which was held at Towcester for the first time. A trap challenge is a bet which gives you an interest across a full greyhound card or a number of cards that day. You select which trap you will feel will have the most wins at the meeting(s). For example, if you place a trap challenge bet on Trap 1 at Perry Barr and there are 13 races, Trap 1 would need to win the majority of the races for you to win your bet. Here is an example of a winning trap challenge. When a trap finishes the card with the same number of wins, dead-heat rules apply. Some bookmakers, such as Betfair and Paddy Power, offer in-play betting on the trap challenge so you can watch the first few races and then decide which trap to back in this market. Like a trap challenge, distance betting takes into account the full results from a greyhound card. In this market, you are required to choose if the total distance of the winning results is under or over a quoted amount. For example, on a 13-race card, the mark may be 39.5 lengths. If you believe that there are going to be some races where the winner prevails by a larger distance, you are likely to back overs in this market. Identify how many races on the card and then calculate how many lengths you need on average per race to win your bet. A nose, short-head, head and neck are all official distances used in greyhound racing, therefore, check the terms to see how much is added onto the accumulative distance for these results. There are a maximum number of lengths which can be recorded from one race. Many bookmakers put the limit at 12 lengths. If a meeting gets abandoned midway through the card, the bet may be voided, unless the distance has already reached above the quoted mark.